What is the matter with Jesus? What has him so upset? His time is getting shorter, and the disciples still fail to understand. The people in the crowds are wise enough to know the signs shown by the weather, but they do not comprehend the sign that is his life. How much harder, then, is it for us to understand him, at such a great remove of time and place? How will we comprehend his meaning? We are civilized church people. We pass the peace and share the love and feed the hungry and provide backpacks for the less fortunate children. We know the right things to do. We are moral. We are ethical. When I think of the unexpected ways my life has unfolded, I believe it. We’ve been learning about the shields hanging in our sanctuary all summer, representing the twelve disciples and their dramatically terrible ends. I want to tell you the story of a 3rd Century saint whose name spoke of her unending and confident hope in God: Perpetua. She lived in Carthage, in Roman-controlled North Africa. She was a young mother, still nursing her child, when the authorities arrested her. The trouble wasn’t so much that she believed in Jesus Christ but that she believed *only* in Jesus Christ. The Romans worshipped many gods, and they could tolerate the idea of one more, but not the rejection of the societal norms in favor of one God. Although her father tried to get her to recant, Perpetua believed what she believed. She insisted on being baptized. Then they took her to prison, where she wrote her story, the first such account by a Christian woman. Finally, with her fellow martyrs, she was thrown to the wild animals in the Coliseum – a boar, a bear and a leopard for the men, and a wild cow for the women. She was ultimately put to death by the sword. She died in 203 AD, a century and more before Christianity would become the officially approved religion of Rome and an accepted part of the culture. Perpetua did not live by the rules of her society. She did not worship the household gods of her father or her husband. She went outside the acceptable boundaries and embraced a faith that made bold claims of one God who died in order to save all people. That girl was on fire. Most of us, most of the time, are just a little warm. There’s a lot of talk about Christians being oppressed in this country, piggybacked on the news of actual attacks against Coptic Christians in Egypt. But in America, really the worst we can say is that being Christian is less universal than in the past. We don’t have to prove our faith by risking our mortality. We don’t worry that soldiers or disagreeable neighbors will be on the lawn after worship to threaten us over our Christian convictions. We are not at risk in our culture. But we are not safe either. Every day, Jesus is calling us to risk. Everyday Jesus is kindling a fire within us, a fire with the potential to transform our lives. The transformation from who we are now to being who God made us to be will almost certainly singe us. I’ll be leaving you as a sabbatical pastor after next Sunday, and Rev. John will be back with you. He will share with you what he has learned. I can tell you from my own sabbatical time, earlier this year, it clears away the distractions and gets a person focused on what really sets him or her on fire. For me, it’s a ministry I’ve been part of for eight years now. It started as an informal group of clergywomen who found each other’s blogs and came to like each other and wanted a t-shirt and a coffee mug that said so. We were UCC and Presbyterian and Episcopalian and Methodist, mostly. There were lots of Americans and a Canadian and an Englishwoman. We thought we were a dozen, perhaps, and were surprised to discover there were many others who were reading our stories about life and ministry and finding sisterhood with us. They needed more than a t-shirt. Now RevGalBlogPals is a ministry to clergywomen around the world and in every denomination you can imagine. Our online community is not limited to the bloggers who now number in the four hundreds. Facebook has brought hundreds more connections. The community includes clergywomen, women church professionals, women religious and women discerning a call to Christian ministry, as well as supportive male clergy and lay people. Our members are in almost every state in the US from Maine to Florida to California to Alaska to Texas and Pennsylvania, and we are in Canada, England, Scotland, Finland, France, China, Australia, New Zealand and South Africa. We are single and married and divorced and widowed, gay and straight, cis- and transgendered, parents and not, with an age range of 20-something to 70-something, all gathered for one purpose: to be a supportive online community for clergywomen. It is a community designed to support the pastor who is isolated or inexperienced or worn out or burned out, a community full of people who practice their Christian faith in different ways but agree on one thing: God calls women to ordained ministry on behalf of Jesus Christ. It’s not a group with a budget. What we have done for the past eight years we have done on volunteer power. Since no one has ever paid to support our community before, we have no idea whether we can generate enough donations to pay a staff. Which is to say, to pay me. But this girl is on fire, on fire to spread this ministry, to make more connections, to strengthen and expand the web of relationships, to build a kind of church that has no walls and no time zones and no barriers to full communion of heart and mind. A few of the dear ones RevGalBlogPals brought into my life. Plenty of people would say that the friends you meet online are not real friends, but I have felt the power of their prayers when my life was in complete disarray; I have been inspired and illuminated by the fiery zeal of their faith in Jesus Christ. I didn’t know when we started out seeking cute t-shirts that I was helping to build the exact faith community I needed. Pastor and theologian Frederick Buechner has written, “The place God calls you to is where your deep gladness and the world’s deep hunger meet.” [i] I only knew I was lonely. 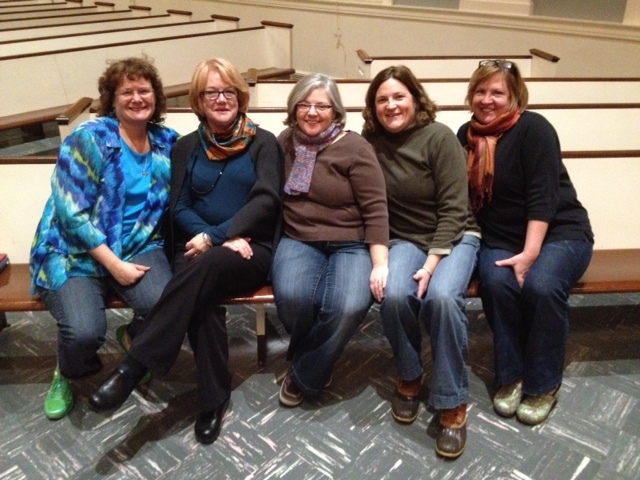 It never occurred to me how many other clergywomen might be, or how glad I could feel about bringing them together. So I’m taking a risk, hoping that eventually I will make a living, or some portion thereof, by doing the work God calls me to do. I may be singed, but I trust I will be transformed. Jesus said, “I have a baptism I must experience. How I am distressed until it’s completed!” God calls us and calls us, and we will surely be distressed if we don’t answer…even though we may also be distressed when we do. The past two weeks we’ve heard some of the ways St. Paul’s has been a leader in the Penn Central Conference. This church has done a lot of good work on behalf of Jesus Christ in the past 150 years as a leader in social justice and service to others. Now – what’s next? The first spark of that fire kindles in some of your hearts already. It comes from the deepest places, from the experiences of your lives, and from the burning of the Holy Spirit. It will lead to something you never thought you could do, but realize was something you had the capacity to do all along. God’s fire will surely singe, but it will transform St. Paul’s into a church for the next 150 years, a church that is fierce for Jesus Christ. May we be God’s fierce and fiery people. In the name of the One who sets us ablaze. Amen. [i] Buechner, Frederick. Wishful Thinking, p. 95, 1973.